The Elbert County Sheriff’s Office has arrested an Athens man on charges of owning, operating or conducting a “chop shop” in Elbert County. According to Elbert County Sheriff Melvin Andrews, 38-year-old Craig Frank Adams was arrested by deputies on the evening of April 10 as the result of a lenghty investigation by the department. In addition to the chop shop charge, Adams is charged with one felony count of theft by receiving stolen property, 19 counts of possession of a firearm by a convicted felon and felony probation violation. The investigation centered around Adams being involved in illegal activities at two locations in Elbert County. The alleged chop shop operation is located on a 15-acre site on Plantation Road. In a raid on the location, deputies discovered hundreds of disassembled vehicles, including trucks, buses and heavy equipment, as well as thousands of diesel auto parts throughout the property. 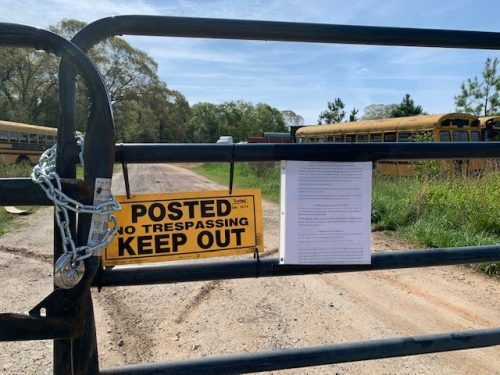 As a result of a previous guilty plea by Adams on chop shop charges, a condition of which he was to have no more involvement in the sales of auto parts, sheriff’s officers seized all property at the Plantation Road site, pending a property forfeiture hearing. The parts are valued at several million dollars. At a separate site on Thirteen Forks Road, officers found a number of stolen items connected to Adams, as well as the 19 guns determined to be in his possession. As a result of warrants being issued, Adams turned himself in to Athens-Clarke County authorities just after 6 p.m. on Wednesday. He was transported to Elbert County and booked into the Elbert County Detention Center after 10 p.m. Wednesday. 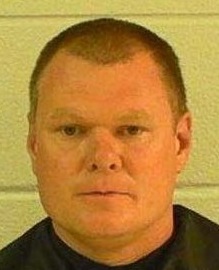 The Elbert County Sheriff’s Office received assistance in the investigation from the Georgia Department of Corrections, the Georgia Insurance Commissioner’s Criminal Investigations Unit, the Northern Judicial Circuit District Attorney’s Office, the Comer Police Department, the Oglethorpe County Sheriff’s Office and the National Insurance Crime Bureau. Andrews said the investigation is continuing.